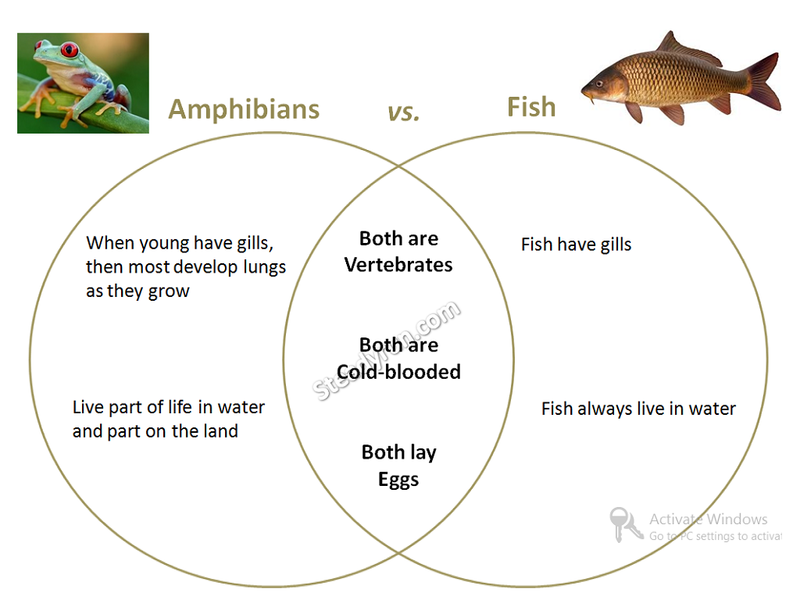 Distinguish, differentiate, compare and explain what are the similarities and differences between Amphibians and Fish. Comparison and Difference. 1. In amphibians, when young have gills, then most develop lungs as they grow. Fish have gills. 2. Amphibians live part of life in water and part on the land. Fish always live in water. Write down the similarities between Amphibians and Fish. 1. Both amphibians and fish are Vertebrates. 2. Both amphibians and fish are cold-blooded. 3. Both hatch from eggs.